Recent radar images of Titan's north polar regions taken by Cassini in early October have provided more evidence of lakes of liquid hydrocarbons. The darker areas in these images indicate flat surfaces, which scientists believe are liquid, most probably methane. 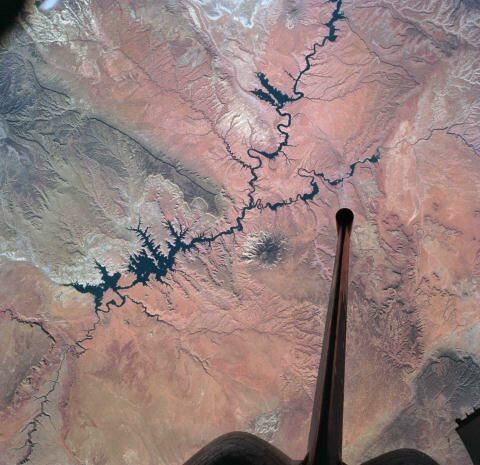 The image below shows a lake at the top left which looks similar to Lake Powell in Utah in the US. The scale of the Cassini image is 190 miles wide by 60 miles, so the lakes are on a large scale compared with Earth's lakes. The next Cassini flyby of Titan is due on 24th October.